One of the most commons things I get asked about are the types of tools that are a must have for a Makerspace when getting started. It is an understandable question. Sometimes, a teacher is given grant money and they need to spend it quickly and are looking for some tips on what to purchase. To help save some those teachers some time, I will provide what a list of the most popular items in the Knights Forge Innovation Lab at University Liggett School. If given the time to build a space, the first thing you should do is talk to students and teachers to see what their needs are before going and spending money on big ticket items. As the Makerspace Director, I ordered the following tools based on the needs of the students and the types of projects teachers want students to create in the classroom. This is not an exhaustive list and you do not have to have all or any of these tools to have an amazing space in your room or school. These are just some of the awesome tools in our space that students are using to create tremendous projects. These three items can be used for any project you want to have lights! 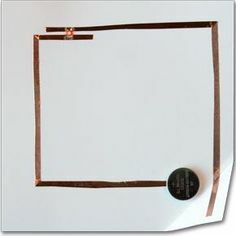 Teaching simple circuits using the copper tape, batteries, and LEDs is a wonderful way to engage students in Science curriculum. It is also fun to have in the Makerspace when students want to add lights to things. These are very inexpensive purchases that can have many different uses, so stock up your makerspace with these guys and watch the kids have fun. We have three of these amazing printers in our space and they are constantly printing. They were used to help print skulls for the high school Forensic Science class to aid in facial reconstruction. Students have used it to make phone cases, parts for a Nerf Gun they were building, and pieces for art projects. This printer has a heated bed to help prevent warping as well as aided leveling. Another awesome part of this printer is that it can print in Nylon and traditional PLA. 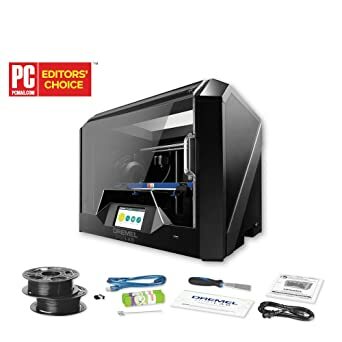 Further, the filament from Dremel has a chip that allows the printer to read the type of filament you have placed in the printer and all of the settings adjust for that filament. It makes printing so much easier for people new to device and the various settings. The Dremel printers are sturdy and have not caused me a single issue since they were purchased last year. I will very rarely declare something as a must have for a makerspace, but cardboard is one of those consumables that have so many uses. If you are going to have cardboard in your space, then I highly recommend that you pick up a Makedo kit. These kits are plastic screws, saws, and screw drivers that allow users to connect their pieces of cardboard and then reuse the makedo parts as needed. So much duct tape is used in cardboard construction, it can become a bit pricey. The Makedo is perfect is allowing for prototyping ideas in a Makerspace without the waste of tape. My students love these and the help keep the cardboard creations under control. I love littleBits. There, I said it. These little guys are in constant use by students in the Makerspace. We are always having great discussions on circuits and switches and lots of other fun engineering ideas based on what students are creating with littleBits. The workshop kit might seem a bit pricey, but it allows for multiple students to come together and build. You can also check out the Pro Library Set if you have the funds and want even more students to build using littleBits. I have found that this tools is also great for students who fidget and need something to play with in their hands. Building with these has helped many fidgety students sit and focus while exploring littleBits. I use this app all of the time with students because it takes a crystal clear image of a student design and allows me to send it through Airdrop of email to my computer or the student's computer. Using the CNC machines or the laser cutter can be time consuming, but if you can just scan a student drawing and upload it directly to the program you are using, life is so much easier. 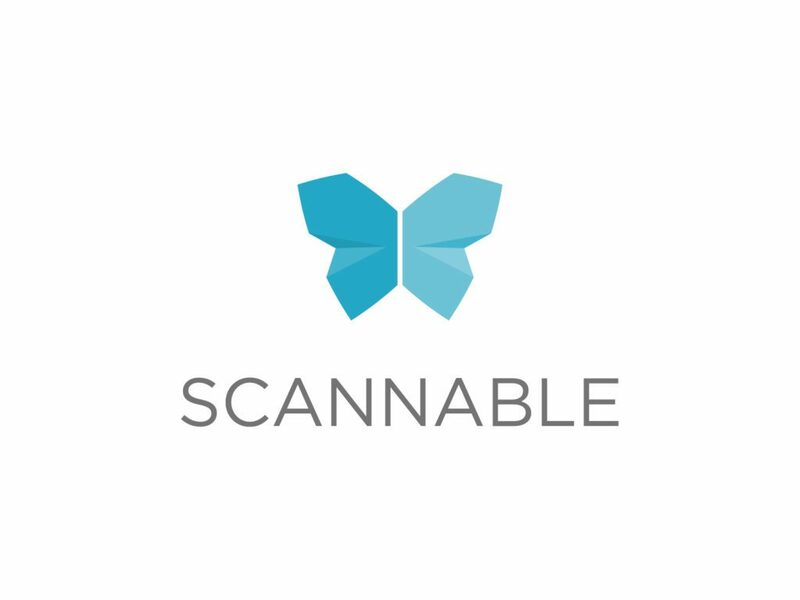 It's a free download on your iOS device and I have been using it for years for personal document scanning and have only just seen the value in capturing student designs with it. It's a simple addition to any space. The world of CNC making became a whole bunch easier with the desktop Carvey. This guy is a self contained carving unit that you do not have to assemble. Everything comes ready made for you to dive into the world of CNC carving. Inventables has put together a wonderful product with an easy to use, web-based software that has a free premium account for educators! Each Carvey does need it's own computer because the computer needs to be connected for the duration of the cut job. Using an old laptop stripped down to only run a browser would be fine. Raspberry Pi (Linux) support is possible, but takes a few extra steps if you want to go that route. The Chinese language students designed stamps of their Chinese name and we carved them on the Carvey. It was a fun and simple project for the students. If you are looking for a larger CNC machine for your space, check out the X-Carve from Inventables. That is a heavy duty CNC that requires you, or your students, to assemble. Once it is assembled, you will have a much larger cutting space for creating large signs and other projects. Definitely check them out. I swear by this tape. I just love it so much. It holds everything down and just where I want it. Students and I have used it for various projects. I recommend this tape as a tape you need while prototyping or building. If you are looking for tape for duct tape projects, there are plenty of other tapes you should use for those projects. 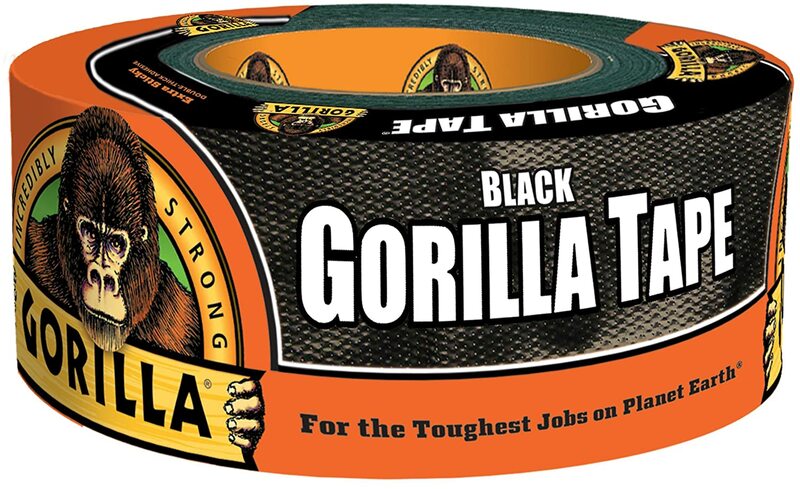 This is heavy duty, not messing around, tape that is perfect for a makerspace. 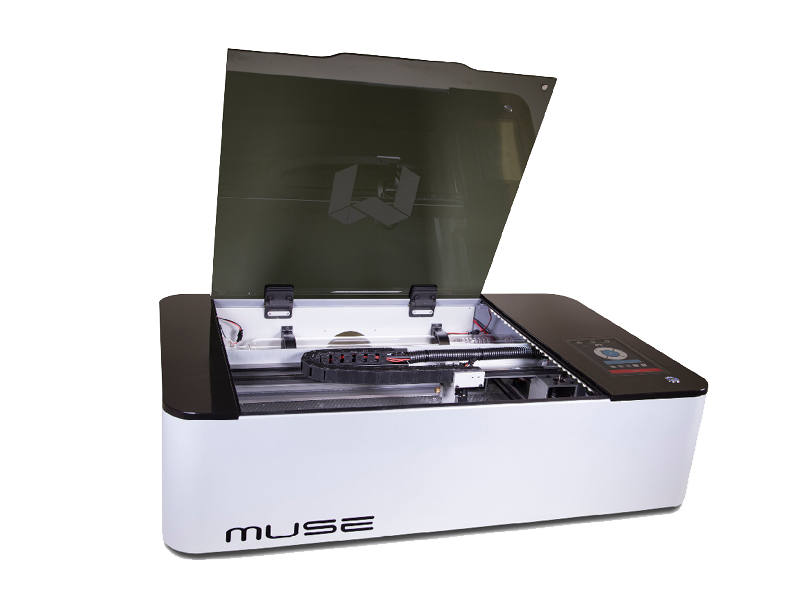 The Muse is the desktop Laser Cutter from Full Spectrum Laser. They have a long history of making laser cutters and this is their hobby laser that is perfect for the classroom. It takes a little bit of patience to set up and align the mirrors, but once that is done, you will be cutting, rastering, etching, and more in no time. The Muse sports a design that allows you to remove the bottom so you can place it on top of larger items (doors, table tops, etc) that do not fit in the machine and still use it to etch designs. The interesting part of the Muse is that you connect to it through the IP address that has the design software. You design on the machine. I like it because it allows you to adjust anything you want before you start. The onboard camera takes a picture of the laser bed to allow for accurate placement of materials and designs. I never thought I would become comfortable using a laser cutter, but it has become an invaluable tool in the Makerspace for teachers and students. There are many different types of this paint out there. I've used this in the past and I am fan. The students love using the tables to write out their ideas and just brainstorm. Their rough sketches have become full prototypes and teachers love having students in our design room to use those tables. When I had the desks in my class covered in the paint, it was great. Students would jot down notes and take pictures to study for later. The freedom to write on the desk or table to get ideas out during collaboration is a such a nice thing to have. 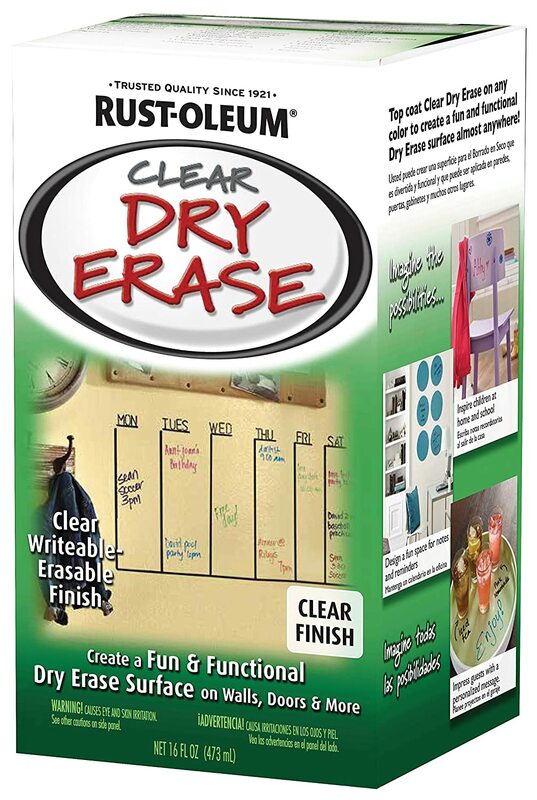 If you have a table or two that could use some love, considering covering it in dry erase paint. 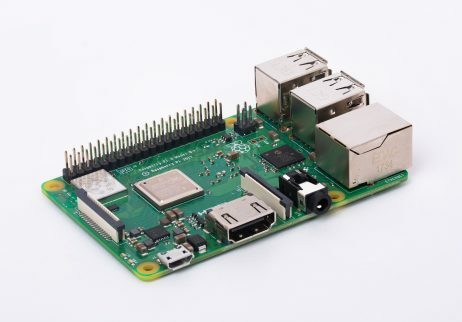 I know that I am a Raspberry Pi Certified Educator and this might seem biased, but I can't help the fact that Pi is so versatile. We have Pis running so many different things in the Middle School, I'm not sure where to even start. A Pi is used to run the monitor in the student commons, I use a Pi to run a monitor that keeps my To Do list and calendar in view. We used Pi to create multiple Retro Pi gaming systems. Pi runs the Pi-Tops in the Makerspace that students use for coding. Pis are at the heart of the physical coding blocks I built. There is so much you can do with the Raspberry Pi that it would be crazy not to have a few of them in the space. You can buy full kits on Amazon for a reasonable price. 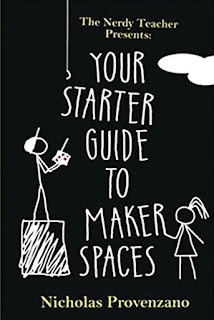 I know I am biased, but these books are really great at helping teachers and administrators understand the value of a Makerspace, how to build one, and how to create a culture around making that will support the makerspace. I've been lucky to see my book shared all over the world and in book studies in individual schools. 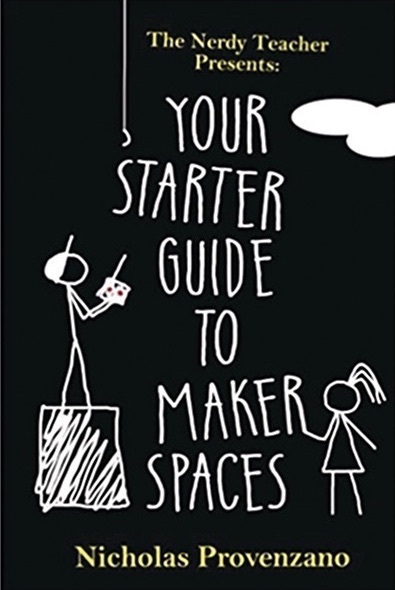 These books are everyman's approach to making and makerspaces. If you have any questions about getting these books or starting your own book study, please shoot me an email and we can connect. I know I left some awesome things on the list, but these are the ones that stand out to me as I sit in our space, The Knights Forge Innovation Lab, and watch the students design and make. I hope everyone has an amazing day and please leave any tools you love in the comments below for others to see. I'm so excited for Global Maker Day! One day to recognize the amazing work being created by students and teachers all over the world. I've been so lucky to be in a position now for over a year that supports Making in all of its forms. As the Makerspace Director at University Liggett School, I have seen students and teachers design and make so many awesome projects. Here are just some of this cool things created in the Knights Forge Innovation Lab. Global Maker Day is about giving everyone a chance to share their stories about why Making is so important in and out of the classroom. Adults need to make and model for students who have the itch to create, but are not sure where to start. The school needs to support a culture of making, a Maker Mentality. Without it, students and teachers will not feel as empowered as they could to create and share with the world around them. As humans, we are makers. We have always been makers and that is how we have accomplished the most amazing things in human history. The minute we become a civilization of consumers only, we are doomed. Let's make time for making in our classrooms and at home. Have a great Global Maker Day everyone! If you are interested in starting your own Makerspace or diving into the culture of the Maker Mentality, you should check out my two book on Amazon. They are a great place to start your Making journey and have been used as part of school book study groups. If you have any questions about my books, making, or just want to share an awesome story, please let me know. The Fall part of the school year can be tough on teachers for many reasons. It tends to be the longest part of the school year that doesn’t have a break, it gets darker sooner so some teachers get to school in the dark and leave school in the dark, and all of the germs teachers avoided over the Summer are not back with students and sickness often sets in. It is easy to feel stressed, “less than”, and even burned out after the first couple of months of school. I have been there and if it wasn’t for a few things I make sure to do every year, I would never make it to December. Here are my tips to make it through the Dog Days of Fall. This is so important. Our physical health has a direct impact on our mental health. If we spend our time battling the flu and other sickness, it can wear on us mentally. Getting the Flu shot, drinking lots of water, having plenty of vitamin C, and other acts of physical self-care can help anyone make it through the first couple of months of the school year in a good place. Another tip to avoid the germ bugs at school is moving more towards a paperless classroom if possible. If students are not handing you germ infested papers, you can avoid sickness at a higher rate. I noticed far fewer times with the sniffles once I utilized Google Docs more fully in my classroom. Keep your physical health strong and your mental health will have a fighting chance. This is probably the hardest item on this list because teachers are so busy. With all of things we have to do at school and family at home, it can feel selfish to take “me” time. This is one of those times where “me” is good for everyone. If you can take some time every week to focus on you, you will be much happier and so will your students and you family. This “me” time can be yoga, gardening, painting, playing video games, running in the park, and so much more. Pick something that will make you feel better about yourself and keep your frame of mind in a happy place. Making time for you will be tough, but it is very important. I have found this one to be super helpful in getting through a stressful school year. Hopefully you have someone at school that you can connect with and share the frustrations you are facing at school. This is important because we need to connect with other teachers that understand what is going on and how stressful the current situation is for us. Having this designated person to vent to also helps you avoid being the person who always complains during lunch in the staff room. You can vent to your buddy and they can vent to you and you can both feel like you have been heard. This is not about solving problems. It is about having a healthy place to vent your frustrations without judgement. If you don’t have someone at school to do this with, connect with other friends who might want to pair up and vent about their job. Not keeping everything pent up will help in the long run. If you are an administrator reading this, I encourage you to get out of the office, visit some classrooms, and share the awesome things you see every week. This can make a huge difference. My current head of school sends out a weekly email that gives shoutouts to staff members and the great things they are doing in the classroom and around the school. Seeing my friends and colleagues mentioned in one of the emails always makes me so happy for them and the first time I was mentions my heart filled with joy. The act of recognition can go along way in supporting teacher wellness. If you are not an administrator, take time out of the day to visit a classroom, see what they are doing, and tell the teacher how awesome it was to be in their classroom for the day. Sometimes it is nice to have a teacher in the room that is not there to evaluate your instruction, but just let you know that you are doing an awesome job. Creating a culture where teachers can observe each other and provide positive feedback can be key in making it through the rough spots of the year. Learning to say no is a very important skill to learn. As teachers, we want nothing more than to help all of the students and all of our peers. It is why we became teachers. We are helpers. Sadly, we often to agree to help even if it is not good for us. Taking on too much is something that everyone can control and need to control for their own mental wellness. Teacher, while superheroes, are still human and need to only take on what they can handle. I’m super guilty of saying yes too much and finding myself anxious as I try to meet all of my commitments. We can’t take care of ourselves if we are running ourselves into the ground. Say yes to some things and politely decline others. Doing too much does not help anyone in the long run if you are too burned out to help anymore. These are just a few of things you can do to help prevent the Dog Days of School from taking over and putting you in a low mental health state before the school year has reached mid-point. Try out some of these suggestions and see what works and what doesn’t. I’d love to hear what you do to help fight the burned out feeling during the school year. The more I have spent time sharing Making and Makerspace with people, the more I get to reflect on those conversation and see how others perceive the act of making. I also spend time thinking about my own practices and how I used to teach in my English classes. The one thing that stands out is that writing is an act of making that should be in the same conversation as coding, 3D design, and other forms of creation. 6. Repeat steps 3-5 until a final concept is found. 7. Take prototype and turn it into a final product. These are steps I present to teachers as they plan lessons that involve Project Based Learning and will require students to create an artifact to demonstrate understanding. I also use these steps to support students as they explore creating something that really want. As I started to articulate these steps, I noticed something that connected to my English background. This is the very similar to the writing process. 1. What is the question you are being asked to address or the assignment you were given? 2. Generate different ideas to address the topic of this paper or assignment. 3. Put together a rough draft of one of your ideas. 4. Review your rough draft and share with others for their feedback. 5. Make corrections and change the piece based on feedback and observation. 6. Repeat steps 4 and 5 until a final draft emerges. 7. Submit final draft to class. This writing process can work for a formal essay, a short story, a poem, or any other form of writing. When people talk about STEM only used for Makerspaces, it really bothers me because the Arts belong in a Makerspace. We need to bring all of these pieces together to form STEAM so that all students can feel like the type of making they want to do is valid. For ELA teachers, I want you to look at this model and see how similar it is to the writing process and I hope you feel more comfortable trying to integrate other forms of making into your classroom. If the students mirror the writing process, they can follow the maker process because they are one in the same. This one of the ways that The Maker Mentality works across curriculum and can help create a culture that all students and teachers are makers that just use different mediums. So, before you dismiss writing as an act of making, focus on the process and not the tools. I think you will see that making is all around you.